A-411-HB bleed down valve. 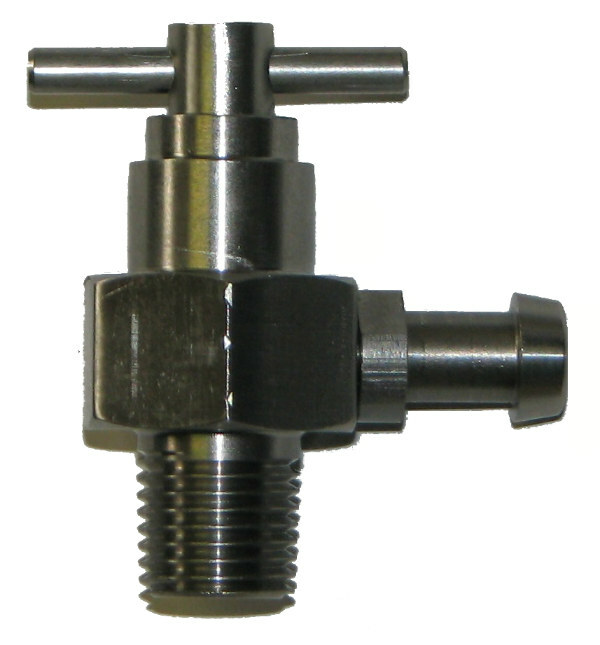 Very similar to a 1/4" bleeder valve but with a hose barb on it so you can attach a 3/8” hose to it and run the hose to another location so when you open the valve the ammonia vents in a remote location. Great for bleeding nurse tank connections and heat exchanger. Run the hose to the back of the nurse wagon or applicator and vent the ammonia away from you. 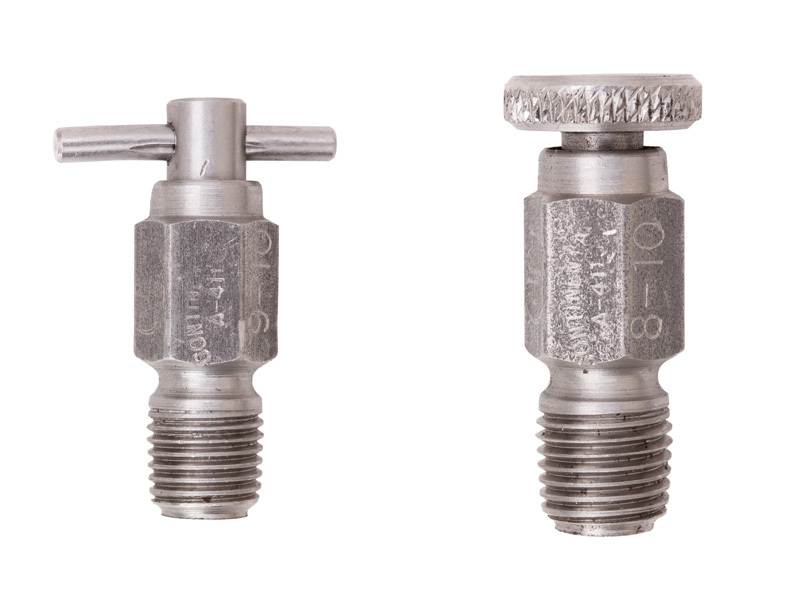 NH3 (anhydrous ammonia) bleeder valves, Catalog No. A-411 and A-411-S, allow your choice of T-handle or knurled screw. They are designed to bleed-off trapped liquid or vapor NH3 or LPG in hose valves, couplings and piping. Also for installation in tanks as 85% liquid level gauge. 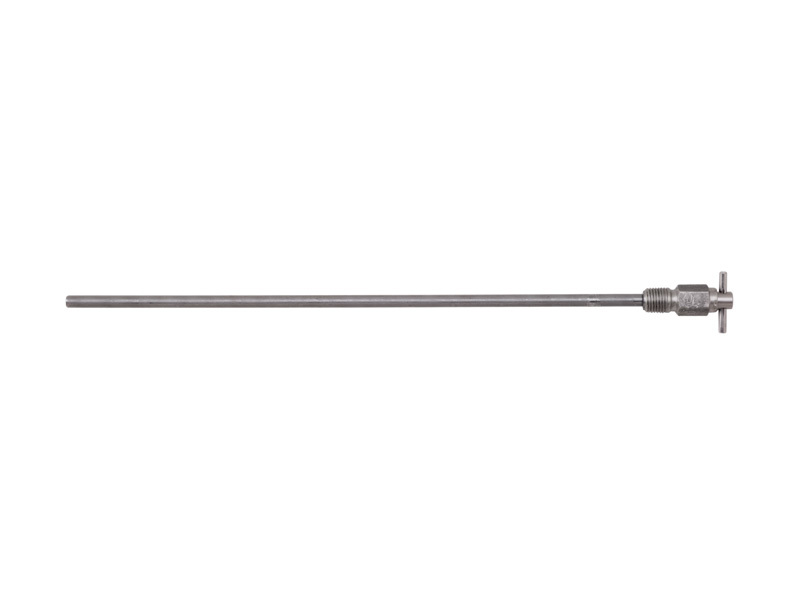 Construction features include stainless steel body and screw, exclusive wiper O-ring which virtually eliminates undesirable flashing on operator, and a tapped inlet for installation of a dip tube. Screw is staked into body to prevent loss by vibration. Catalog No. A-410 is the same valve with a 12 dip tube factory installed.